The Rugby World Cup comes to Toronto and will be on display at Hemingway’s Yorkville Toronto as part of the last stop of the 2019 Rugby World Cup Trophy Tour. Rugby fans will be able to get up close to the famous Trophy before the Cup heads out to Japan. The 2019 Rugby World Cup will be the ninth Rugby World Cup, and is to be held in Japan from 20 September to 2 November. 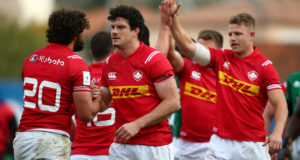 Canada has qualified for all Rugby World Cups and will participate in Japan 2019. Next: Fire code charges laid against owners of 1320 Victoria Park Ave.